Student loans are necessary, most times, to get an education in America. Many Christians frown upon debt of any kind. But though missionary candidates have debt, they are not ashamed of it. The money enables them to get a quality education. They work for a couple years in their field of study and are confident that Jesus will use the talents they have received from their university studies, on the mission field. I have sat with the missionaries in strategy meetings and know that the education they have received has enabled them to engage in the “bigger conversations” concerning the mission, conversations that are too big for me to wrap my head around, but I am trying. 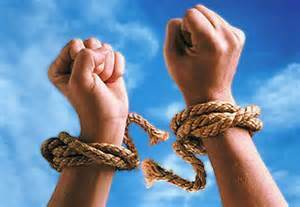 Being unleashed from the heavy burden of student loan debt is essential for any missionary. There are so many well trained and equipped missionary appointees, who are raring to get on the mission field. But they are held back because of student loan debt. Missionaries to remote, unreached regions, need to be funded in every way in order to follow the leading of the Holy Spirit in every season of their lives. 1 Timothy 5:8 reads, “For the Scripture says, “You shall not muzzle an ox when it treads out the grain,” and, “The laborer deserves his wages.” (ESV) One atheist stated, when I mentioned how God was providing for the missionaries, “It is all about the money isn’t it.” I disagree. It is about being free to follow the Lord. The atheist also told of a couple they know who went out to be missionaries with no support. They were encouraged because this couple had no support. They eventually came back to America, after serving several decades, penniless, but fulfilled. 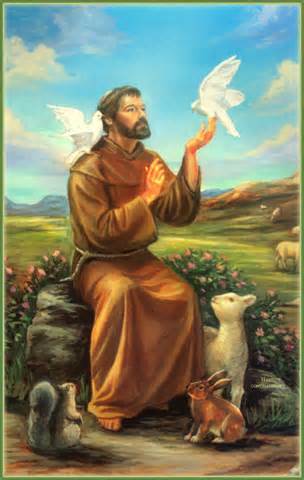 I realized that so many people in the West think that missionaries should live like St Francis of Assisi, in destitute poverty alongside the poor. I am inspired when I see such missionaries. But I also realize that their life of poverty is a personal calling that is not expected by all. There are things to consider. What about longevity? What about living in a harsh environment? What about attracting other young couples to the mission field? What about when one comes home from the mission field? Is the sending church supposed to give returning missionaries houses, living expenses and healthcare coverage, even when most of the present congregation may not have even been born when the missionaries left on the mission? Will they even care about the missionaries and the mission at all? Will the returning missionaries always have to be proving their worth to the church, after they get back, to ensure they keep getting their missionary salary? Will they be free to follow the leading of the Holy Spirit in each succeeding season of their lives? Will they be financially free to back away from church leadership so that young leaders may take the helm of the church? For these reasons missionaries need to be supported financially. They need to be given the means to, not only pay for their daily needs, but also save for their retirement years. The assistance to pay for their student loans opens the way for these missionaries to serve Christ in these remote settings over the long haul. Luke, a leader of the Go Fund, feels that young, university graduates are the best suited to engage in cross cultural mission to unreached people groups. These missionary university grads need to be unleashed to go out into the nations. The Fund’s mission is to gather donors and include them in the mission, to unleash missionaries. Their mission is more than just providing money. It involves partnering with the missionaries and the sending church. Impressive. To build a network of people who give generously to enable college graduates to make disciples of Jesus among the unreached. We’re a non-profit on a mission to enable college graduates to make disciples of Jesus among the unreached. Today’s greatest barrier is student loan debt. The GO Fund enables college graduates to minister among unreached peoples in the world who have no access to the gospel through our educational loan repayment program. There are many college graduates who are interested in career missions to the unreached peoples of the earth, but they cannot go due to educational loan debt. Most mission agencies will not send people with a significant amount of debt. These are qualified people who have a passion and a zeal to make God’s name great among the earth, but educational loan debt is limiting the number of people who are actually going. This growing epidemic provides a barrier for the Church against all efforts to complete the task of making disciples of all nations (Matthew 28:19-20). We believe that a college degree is a great decision, and a great investment for a person to make. It will help them learn about ministry, grow in maturity, and have a marketable platform to go to most countries in the world. However, it also is becoming a costly decision to make. The GO Fund enables college graduates, some of the most strategic people we can send because they have the degree, the skills and the marketable giftings needed, to go and minister among the unreached peoples in the world who have no access to the gospel. We do this through our educational loan repayment program. These high standards are adhered to with an unwavering commitment. This allows us to focus on sending only the best Christian workers to the front lines of the mission field. The Great Commission is too great to send those who are under-qualified. Our conviction is that we must send only our best and our brightest workers to the unreached. God is serious about providing for missionaries. I would never have thought there was a way to unleash missionary candidates from student debt, but there is. Student loans are such a mountain that appears immovable. But as we know, from the words of Jesus, “Truly, I say to you, if you have faith and do not doubt, you will not only do what has been done to the fig tree, but even if you say to this mountain, ‘Be taken up and thrown into the sea,’ it will happen.” (Matt 21:21) And always remember, “For nothing will be impossible with God.” (Luke 1:37).